“Long ago, in the days when dragons could still be found and fought (or so it is written in the tales of those times), there lived a Viking king. He was fierce and warlike, brave and strong, cunning and cruel. His name was Harald Hard-ruler and that name was feared wherever it was heard. But it was not always so . . .
Child in exile, Russian warlord, mercenary for the Greek Emperor, Christian warrior in the Holy Land, King of Norway; Harald Hard-ruler was many things in the course of a brilliant and blood-soaked career, but he is mostly remembered today (if he is remembered at all) as the Viking king who scuppered the chances of successful English resistance to the Normans at the battle of Hastings in 1066. But Harald, often regarded as the last of the Viking kings, deserves to be more than a mere footnote to the familiar story of the Norman Conquest. 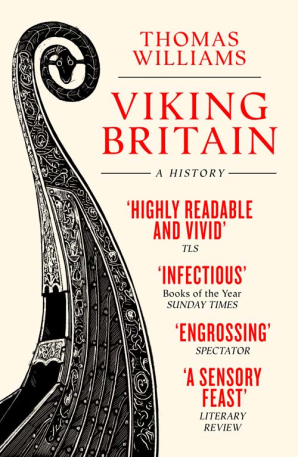 This book – an illustrated retelling of Harald’s life and legend, with factual sections exploring the Viking world – sets out to put that right. 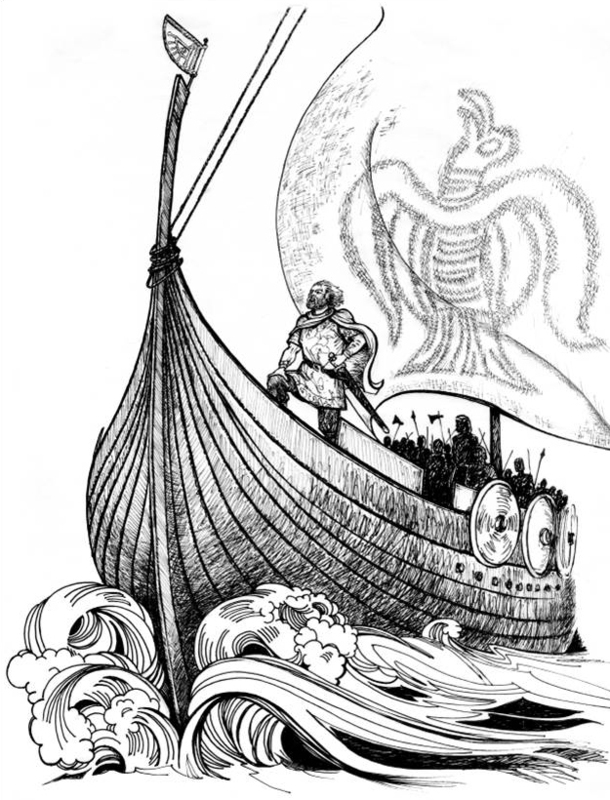 Published in 2014, and enriched with beautiful illustrations by artist Gilli Allan, The Tale of King Harald was Thomas Williams’ first book, written whilst he was project curator of the British Museum exhibition Vikings: Life and Legend.